You might not think of your garage door in this way, but it is actually a very complex mechanism that has some dangerous moving parts. 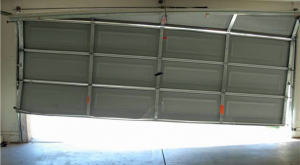 Garage door torsion springs can be particularly dangerous if they are in need of repair. Be on the lookout for problems and get in touch with a professional as soon as you can – never, ever try to fix this part on your own because you could be very seriously hurt. Garage door torsion springs play a very important role in the function of your garage door by counteracting the force of gravity. Its main purpose is to make the door light enough for either manual or automatic opening and lowering. The torsion springs are typically mounted right above the door, but are sometimes mounted at the rear of the garage. When they are correctly installed they keep the door in balance, meaning it takes the same amount of force to open and close it. When they work correctly, the door is easy to open and close. The biggest sign that your garage door torsion springs may be developing issues is simply age. They usually last anywhere between 7-9 years, depending on how much use the door gets. Springs located on doors that are used more often usually last about 4-6 years. There are some instances where a door is poorly installed and springs malfunction after only a year. That’s one of the reasons why you should only trust a reputable contractor that backs its work with solid warranties. The door should be able to remain in the “up” position when it is released from the opener. While some movement will likely take place, if one of the bottom rollers moves past the line located between the horizontal and vertical tracks – and stays below that line – then the springs are malfunctioning and must either be repaired or replaced. If they are not, the door will very likely fall off the track. In the second test, the door is pulled to mid level. If the springs are working correctly, the door will stay in that position and not move up or down. If you have any reason to believe you’re having issues with your garage door torsion springs, please call Action Garage Door at 972-215-7906 or contact us online to schedule an appointment.